At VLI, we have been supplying specialist mining equipment and related services to the resources industry for more than 30 years. Over the years, we have undergone significant expansion as a result of strong organic growth, and a program of tactical amalgamations. Today, after having joined forces with several market leaders in terms of technical expertise and market share, VLI enjoys a reputation, both in Australia and abroad, as a dominant force in the supply of specialist mining equipment and related services. Our foundation is built upon the strategic acquisitions and mergers of well-respected brand names such as Valley Longwall Drilling, Tyton, SMV, Juganaut, PitTop and Unirod. Combined, these resources bring together extensive experience and a broad range of products and services, all to the benefit of our customers. VLI has an uncompromising position when it comes to health, safety and the environment and our commitment is to ensure the health, safety and welfare of everyone who may be affected by our activities. Our approach is based on incorporating risk management principles into our operations and ensuring compliance with all legislative and client requirements. 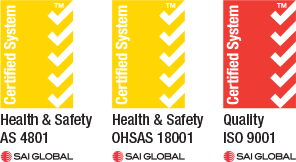 VLI operates an AS4801/ISO18001 certified management system that provides our clients with the confidence that safety is a core value of our business activities. We recognise our responsibility to ensure that we minimise our impact on the environment by ensuring our business activities are undertaken in accordance with best practice environmental management standards and comply with all relevant environmental legislative requirements. VLI provides a comprehensive and diverse range of equipment including diesel vehicles, drilling rigs and conveyor systems, all designed and manufactured by our own team, to the highest specifications. Our operations are comprised of three business divisions; VLI Diesel, VLI Drilling and VLI Conveyers. We have a team of over 450 specialist personnel employed throughout Australia, USA, and China. Due to our commitment to research and development, our team has access to the most advanced technologies available in the world today. This allows us to deliver high quality, innovative solutions for all types of mining, transportation, bulk materials handling, loading and drilling activities. Meeting customer expectations is not enough at VLI, we aim to exceed them every time, via the provision of industry leading technology and service solutions. We believe that our technology should always set new benchmarks when it comes to safety, cost minimisation and productivity. At VLI, we are an equal employment and advancement opportunity employer, and we understand that our team is what drives our success. We are committed to fostering a fair workplace, where all employees are given the chance to grow, reach their potential and maximise their job satisfaction. At VLI, our employees don’t just have jobs, they have careers. We value the unique contributions to our business from each individual employee and believe that to be the reason passionate people from around the globe choose to come and work for us. An instantaneous, personalised way to acknowledge the employees who have excelled in their role and gone the extra mile. Employees who receive a Staff Recognition Award are entered in the running to win our Employee of the Quarter. We recognise employee contributions as they reach different milestones of service at VLI. Some anniversaries are rewarded with a full week of paid annual leave, including a corporate gift card to enjoy whilst away from work. Because we know our people are our greatest asset, we invest in their health and happiness. We want them to have a positive experience here at VLI. We offer a range of health and wellbeing benefits, such as; an Employee Assistance Program, Discounted Online Health Program, Paid Parental Leave, Health Presentations, among many other initiatives. If you are looking for a professional and supportive team, and an employer who truly cares about and values their workforce, then consider joining us at VLI. VLI boasts a team of highly motivated personnel who are extremely experienced in the specialised fields of diesel, drilling and conveyor products and services. We are able to draw upon our abundant in-house expertise in engineering, drafting, project management, sales and marketing, manufacturing, servicing, maintenance, finance and administration in order to develop the most innovative and effective solutions specific to our customers requirements. The depth of our in-house capability provides our customers with single-source accountability on each project. The close working relationship between our tradespeople, designers and field service professionals leads to stream-lined deliveries and communication on every job. The result – products and services that are delivered on time, on budget and exceed our clients’ highest expectations. VLI has a strong commitment to equality in the workforce and we believe in treating our people with respect. We provide equal employment and advancement opportunities for all. We are committed to treating all employees fairly, without regard to any characteristics that have no bearing on job performance. We work with all of our people to plan career paths that will enable them to reach their full potential and achieve maximum job satisfaction. We also value the unique contributions that each employee brings to our business and we consider the diversity of people and cultures that exist within the Company as a strong competitive advantage. Our broad-minded approach is a large part of the reason why we attract so many talented and passionate people from around the world to come and work for us. VLI is truly multinational, developing and manufacturing technology for the global market. Through our network of facilities around the world we are able to support our customer’s operations wherever they may be. We maintain major manufacturing facilities in Australia, China and the USA, which enable us to distribute our technology and services to our customers across the globe. VLI recognises that the ongoing success of the business is dependent on being able to provide cost effective solutions with the emphasis on value, quality and exceeding our customers’ requirements and expectations. We strive for continuous growth and innovation and to be the first choice of employees, customers and all our stakeholders. To ensure we maintain our position as an industry leader VLI is committed to continuously improving the effectiveness of our products and services. VLI is committed to providing its workforce with an environment that encourages diversity, innovation, teamwork, continuous improvement and performance rewards. Our ISO9001 certified quality management system defines how we design, develop, manufacture and deliver high quality technology and services and achieve outstanding industry leading customer solutions.